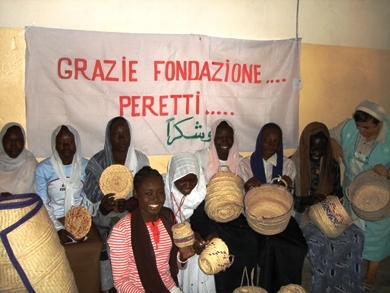 Sisters of Charity have been present in Sudan since 1974. Their work and their commitment in helping the poorest and the outcasts are well recognized in all Sudan. The office of Nyala, South Darfur, was opened nine years ago. Since their arrival, they took care of the Italian Church and of the community of Nyala. Later on, they started to organize a multi-ethnic school in order to give education to analphabets. They are also running a primary school for displaced children and a daily canteen for the poorest of Nyala. In 2004, The Sisters of Charity organized a training school for analphabets from 14 to 19 years old. The Training school gave the chance to 48 girls to learn how to read and write, and to learn a job. This initiative was found for only one year with the help of the Salesian Priests. NEMESIA centre is a school and a training zone for young people who desire to gain skills in order to become educationally and economically independent. The project aims at benefitting directly 60 young analphabet girls; indirectly it aims at 60 families (360 persons). The Project can be divided in two parts: the first component , which is didactic, addresses to teach the young girls the educational basis. The second component, which is training, addresses to teach them a work, a business activity. The project will be implemented from January 2006 till December 2006. 1) From 9.30 a.m to 12.00 a.m. Girls will attend Arab, Mathematics and English classroom. 2) From 12.00 a.m. to 1.00 p.m.
3) From 1.00 p.m. to 5.00 p.m.
As shown, the courses start in the late morning in order to allow the girls to do the housework. After that, the students has to attend three different lessons of 45 minutes each. In the afternoon, the girls will be involved in practical lessons in order to gain skills for a possible future business activity. Beside these seminars, the girls will benefit from lecture on civil society. This course will explain them their own role in the Sudanese society. Unfortunately, in the Sudanese Society, women and men are not equal, so it is very important to explain them Who they are and what are their rights and their duties. Firstly, the families of the 60 students will have an income from their daughters. Secondly, the city of Nyala will benefit, economically speaking, through the creation of 60 new business activities. 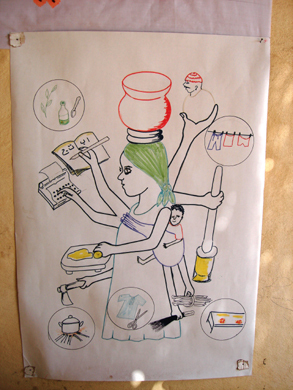 Thirdly, Nyala women will take advantage from the project: in fact, the awareness to have rights will make them grew confident in themselves and it will make reach them goals that before were just dreams.